← Gluten Free/Dairy Free Pancakes 3 Ways, 1 Recipe! It was multicultural week at school. It’s been great fun, we made a poster as a family about our lineage and the kids got to do little presentations in class, then to celebrate all of their amazing cultures, we were all asked to bring food from our countries of origin to share in a big feast. It was amazing! With over 100 families it was the best Vegas buffet EVER. Interestingly, we were the ONLY ones to bring “American Food.” The kids were all very pleased with our offerings, but a few of the parents seemed a bit miffed. Who would have thought this assignment would be such a challenge? It all started when we were asked to put flags, maps, foods and various other culturally relevant items on our “family project” posters. Living in Las Vegas, half, if not more, of the kids in my son’s class are 1st or second generation Americans, with families from Korea, Brazil, The Philippines, Mexico, Russia (and the list goes on) – it’s truly amazing. But our heritage is, well, American, and with the exception of Great Britain, none of the other nations from which we are descendant even exist anymore. In my head our poster was going to be emblazoned with a huge American flag, a map of the USA, some pictures of corn, potatoes and big red barns… All I could think of was how everyone would think we were trying to be obnoxious and make some sort of political statement (which, by the way, they did), but the truth is, that’s just who we are. We eat chips and salsa WAY more often than bratwurst, my German is all from a high school desk, I don’t know a single thing about my Native American ancestors, except what I learned on the internet, and while I think the British Isles are a lovely place and I’m thankful for the language and culture we’ve inherited… the food is probably my least favorite genre. So, yeah, American. We took the time to explain the lineage of our family and where his great-great (and some extra greats for some) grandparents came from, we even looked through old pictures, searching each culture online and researching what those lands were like when our ancestors left them, but in the back of my head I kept going back to… “we listen to American music, we dance in an American style, we eat American food, all our family recipes are American (even our pepper nuts only resemble their pfeffernusse ancestors), we celebrate commercial American holidays, we drive American cars…” you get the idea. I tried very hard to keep my opinion to myself, but Little Bear started asking all sorts of questions about where his favorite foods originated, where our language came from, and he was the one to note that we don’t “sound” English (though he SO wishes he did, in his head that’s what dragon riders sound like). So it was him that finally said, why don’t we mention all the places our ancestors are from, but make our poster about the U.S.? *Oh, THANK YOU! * So with a few tiny flags from other places and times – mission accomplished – and the rest was a red, white and blue kindergarten masterpiece. His favorite part was including a picture of the “first American (with his last name)” on his poster. 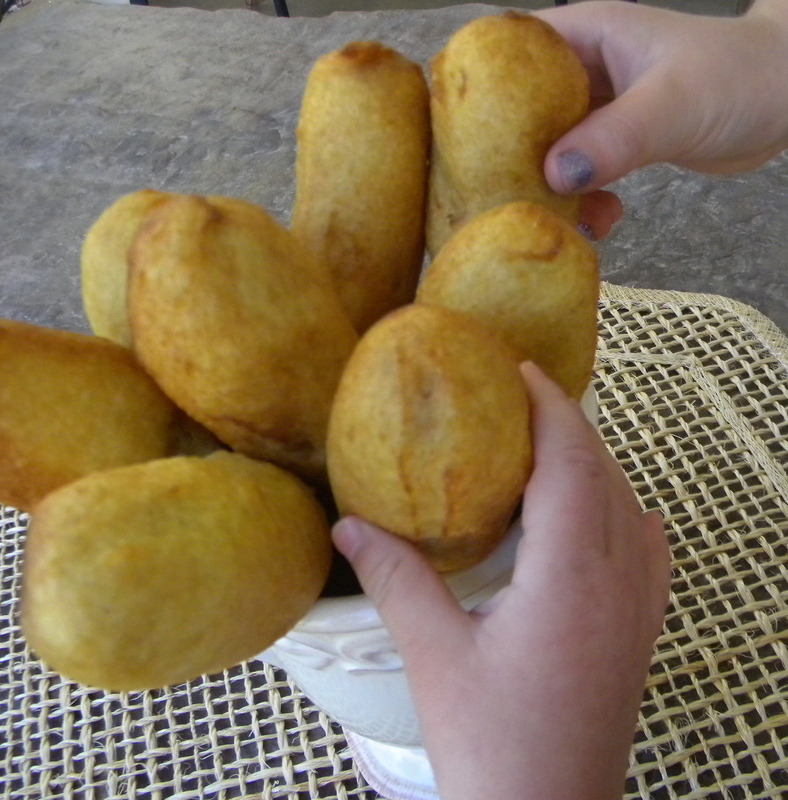 It occurred to us that our family had been farming corn for well over 100 years… so when we asked Bear what he wanted to bring for the feast he said, “Hotdogs, and corn, of course!” So we made Little Bears two favorite foods, tiny little Corn Dogs… Corn Puppies, and Kettle Corn. Now on to why you’re really here! Mix together corn meal, rice flour, starch, baking powder, salt, and xanthan gum. Add soy milk, eggs, coconut oil, and honey. Mix until smooth. Let stand somewhere warm or ten minutes. 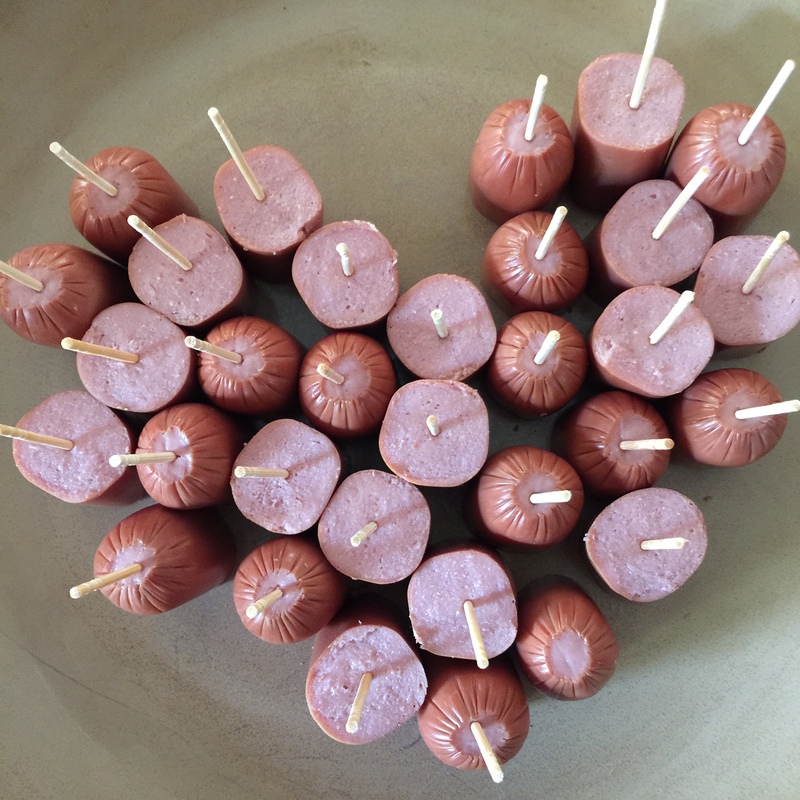 While you wait- Dry hot dogs with a paper towel. If making “puppies” cut into halves or quarters. Impale 🙂 each dog or puppy with a stick (skewers for dogs, lollipop sticks or half skewers for 1/2s, or toothpicks for tiny puppies). I clip the points off the tips first for safety reasons. 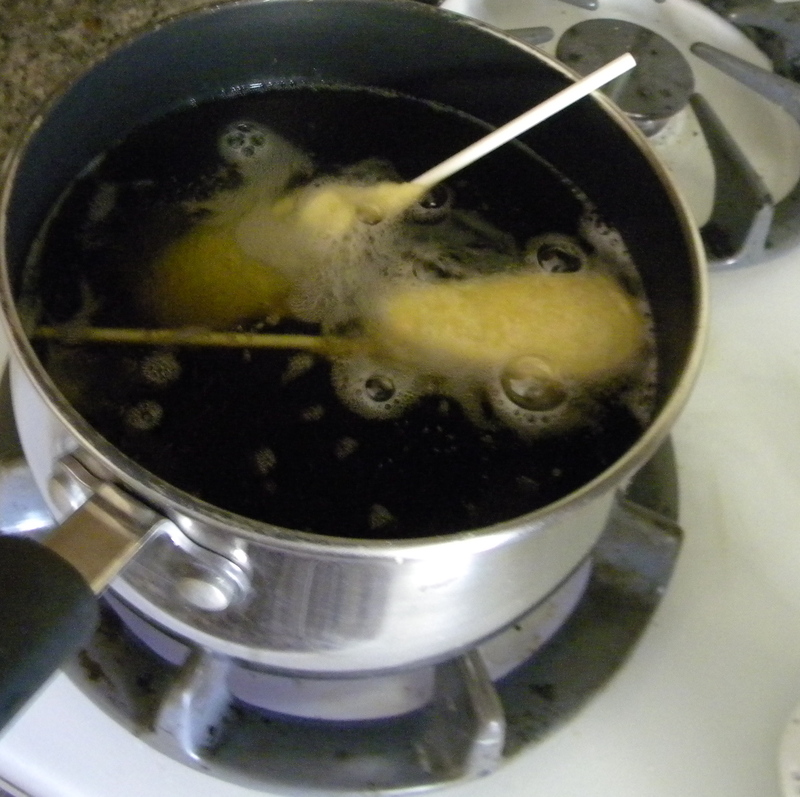 Heat oil to 375°F, if you don’t have a candy or oil thermometer (or fryer) drop a bit of batter in. If it bubbles and browns but does not burn or become annihilated, you’re “golden.” 😉 Line a plate with paper towels. Place near the fryer/pot. 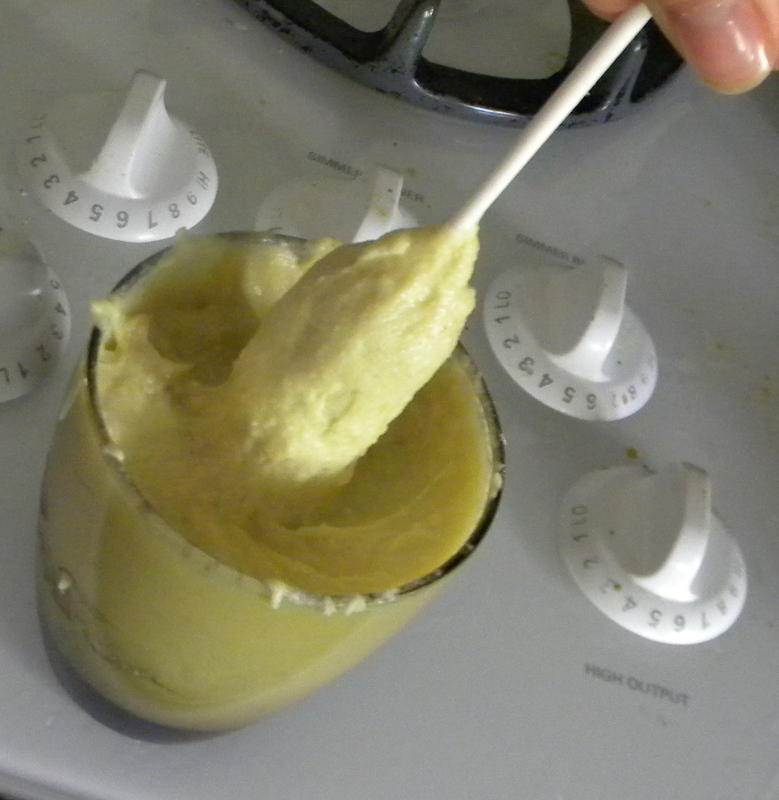 Pour batter into something narrow but deep enough to dip the whole dog. A tall drinking glass works well for full-sized dogs. 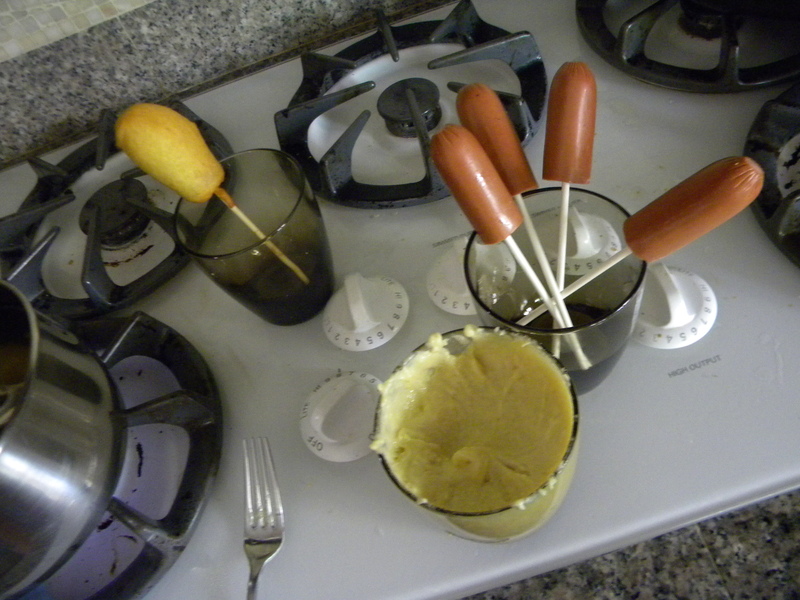 Dip the hotdogs one at a time, while using a twisting motion to coat all the way up to the stick. 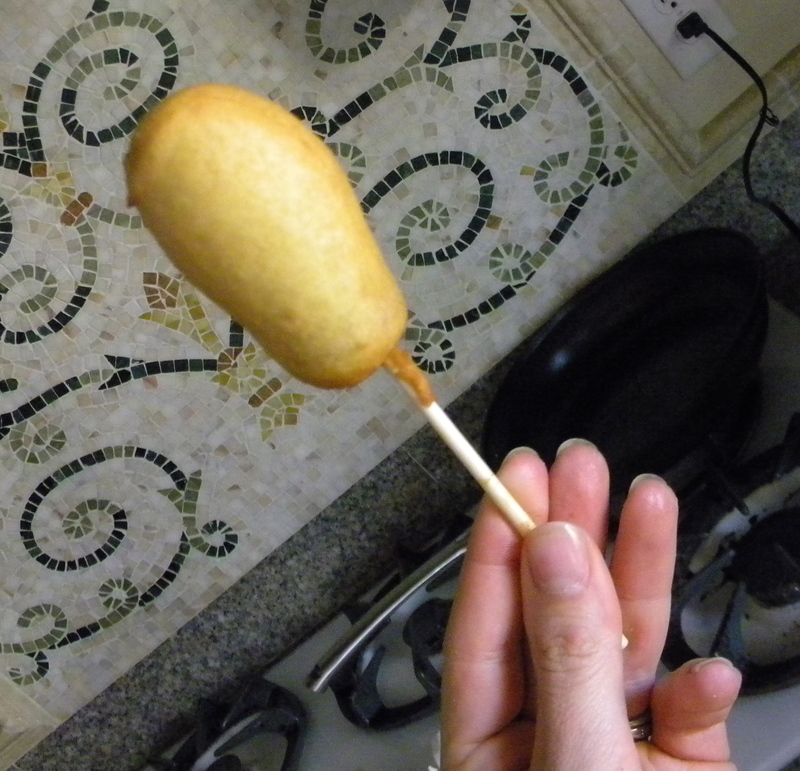 Once coated, pull hotdog up with a slight swirling motion to smooth out the batter. Fry one or two corn dogs at a time. Roll them periodically to brown all sides. If you have a deep enough frier, let fry for about 1 minute (with dough completely submerged) then roll over. Remove from oil. Let drain on paper towel lined plate and serve. If stick is still hot, wrap in a paper towel before serving. Did You Know? 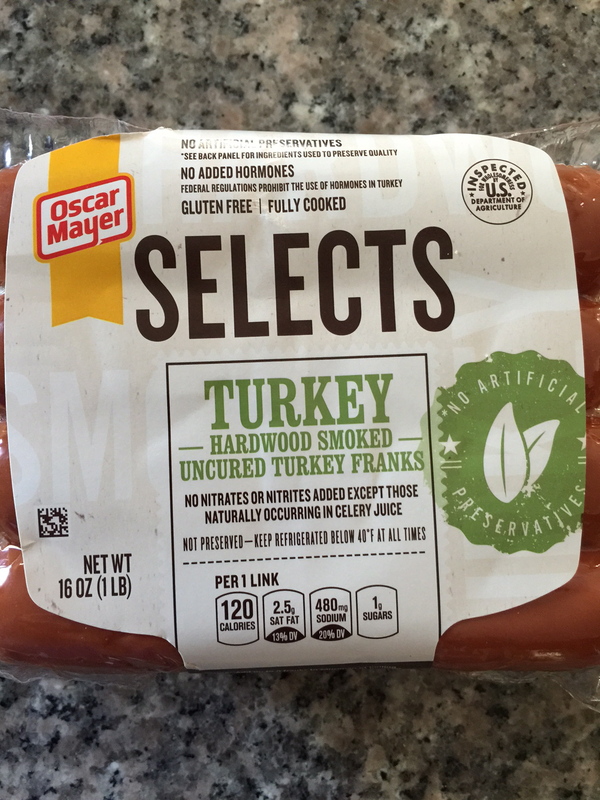 Corn Dogs were devised by German American sausage makers as a more “American” version of the German frankfurter or Austrian wiener, presumably to combat anti-German sentiments and sell more hot dogs starting as early as the late 1920’s. They became popular at various State Fairs during World War II. Sounds perfect! All families should be proud of where their family came from and who they are. The fact that your family grows some our nations food, is very important. 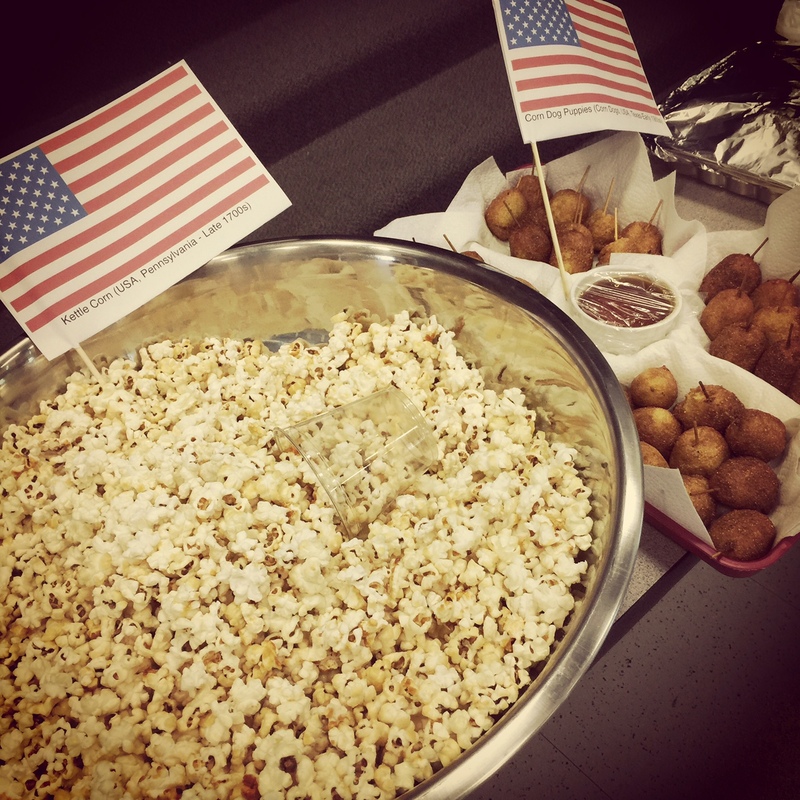 P. S. Love the “corn puppies”.